Our Thank You Gift: Take Forest Park With You! 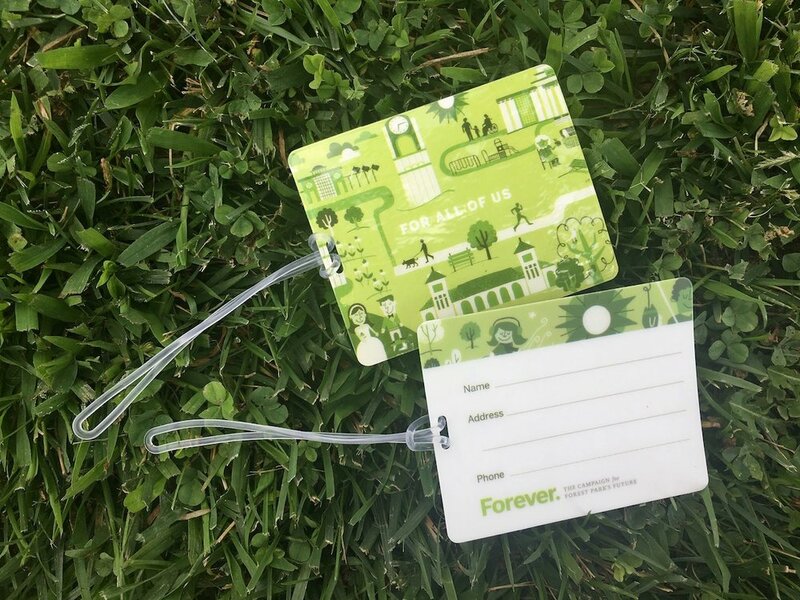 We are thrilled to share that as a token of our gratitude, Forest Park Forever is sending each donor to Forever: The Campaign for Forest Park's Future the special travel tag you see above. Whether you use it on your gym bag for your morning jog through the Park's recreational path, or attach it to your luggage as you make your way through another part of the world, we love the idea of you taking a bit of Forest Park with you on each mile. 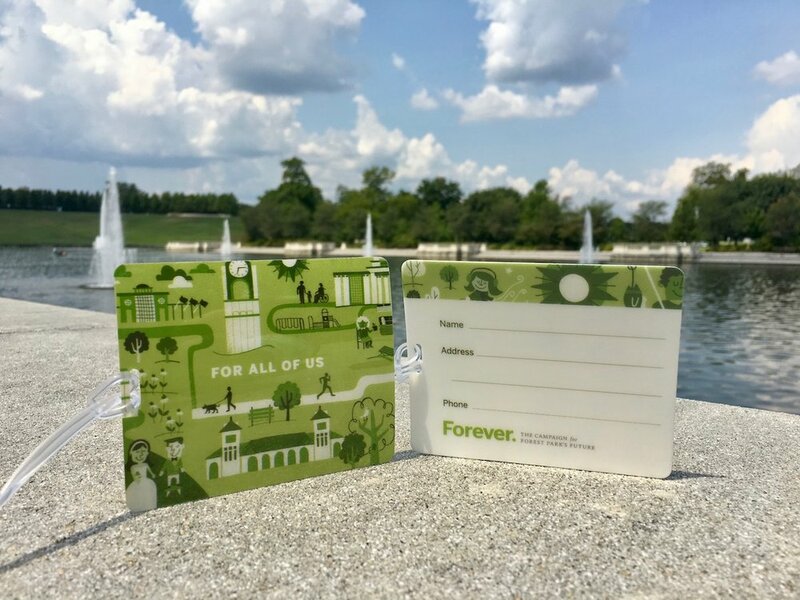 Would you like to receive a Forest Park-themed travel tag? Make a donation online today in under a minute! Thank you for your support.